Consulting Services for Higher Ed. In April of 2016, Revolutionary Media had acquired DegreeChemistry.com, which served as Ifficient Inc.’s main education portal since 2012. This website is going though a re-brand, and our new Education portal currently under construction is: ChooseYourEducation.com. This new site will serve as our flagship portal. We help schools and prospective students of all ages and backgrounds with various learning styles, achieve their goals through education. Our technology is specifically designed to assist prospects in enrolling in a degree or certificate program of their choosing. We offer a vast range of programs that are offered both Online and at Campus Locations. Revolutionary Media delivers high-quality data and call inquiries generated from our own media buys, call center, portals, and a select set of tested and monitored media partners. We offer our clients a well-balanced and real-time controlled media mix approach, which is monitored and overseen by industry veterans. We enable fully managed, scalable, and compliant inquiry-generation solutions through our lead management system. We bring high-intent and high-quality prospects directly to you who are ready and willing to learn more about your product and services offered. In addition to providing high intent prospects to you in a data format, Revolutionary Media can also live hot transfer interested prospects to your Inbound team directly. Each “Live Transfer” campaign is fully customizable in order to suit your institution’s needs. Our Contact Center Representatives can take phone leads a step further by transferring them directly to your Inbound representatives. This keeps your representatives on the phones with live, interested prospects instead of getting ringing phones and voicemail. Advisors pre-qualify prospects before transferring for screening purposes. Calls are seamlessly transferred to your designated advisors, and a data post with the prospect’s contact information can follow each transfer. Mobile marketing has quickly become an integral part of any media buying strategy. We believe that Mobile Users should have the ability to connect with you directly and easily on any mobile device through a positive user experience. We drive both live calls and short form data leads through strategic partnerships with top tier mobile publishers and networks. This is done through a set of performance-based mobile products focused on delivering prospects with high intent directly to you. We deliver highly targeted, cross-channel mobile campaigns designed to jump-start any mobile initiative. We have developed a deep understanding of the most effective email marketing campaigns strategies and tactics. Email marketing can be an extremely effective way to reach out to new customers and increase your conversion rates. We offer several ways to take advantage of this simple and cost-effective method of marketing. Our vast targeting abilities, statistical analysis and creative design services, will help engage, acquire, and retain new customers. Let us help you create a social media plan for your business. We offer a broad range of services ranging from: consultation, social media set-up and training, to complete operation, management, and oversight. There is no one-size-fits-all approach for social media, and thus the objective of our social media strategy is to understand how to map and integrate social media with your own existing organizational objectives. Our Revolutionary Social Media consultants will assist in identifying which platforms are best for your business and ensure you have a presence on each. We will find smart ways to interpret data that platforms provide and identify the best social measurement, management, and listening tools for your organizational needs. Our consulting services are designed to offer professional services to the leaders of colleges and universities in the following areas: Vision and Strategy, Organizational Leadership, Market and Program Analytics, Branching Strategies, Finance and Data Analytics, Admissions, Accreditation, Cost Controls, new areas of Revenue Generation, Retention, Operating Efficiency, and Institutional Policy Development. We offer consultative services from experienced professionals within the higher education industry, with vast executive experience in leadership and management. We offer consultative services to Colleges and Universities, looking to gain insight on best practices, for their Admissions teams. Our Admissions experts are all former college admissions officers from highly selective colleges and universities. Our experts have worked with a variety of Admissions teams, offering guidance to help them navigate through the enrollment process and achieve their goals. An additional option that may work in conjunction with our Admission Consulting, is our Leadership Development Services with an emphasis on resiliency training for leaders. This may include facilitation, team building, and motivational speaking engagements. These services can be customized according to your organizational needs. Whether your institution is just beginning to plan its online strategy or needs to optimize and grow existing programs, our consultants can assist with: Search Engine Marketing, Search Engine Optimization, and Pay Per Click Advertising and Management. Your web presence, online marketing and service/product offerings are different than your competitors. Custom interactive marketing can get the most out of that difference. We are able to offer custom website consulting services for companies looking to get a better footing in the online digital space. We consult with each client to define goals and strategize detailed plans for achieving maximum online recognition, growth and interaction. Our online initiatives are continually assessed for ROI and reviewed for measurable results. Through campaign optimization, each goal is then readjusted as it is met. Revolutionary Analytics provides you with actionable knowledge and the tools, in real time, that will dramatically increase your lead conversion, sales results, and customer retention rate, and return on investment. Offerings include: Marketing Audit, Website Content Audit (contingent upon Marketing Audit agreement), SEO Audit, SAS Tools (External sales to customers), SAS Tools (add-on feature for all leads generated by Revolutionary Media). A deep proprietary analysis of a marketing campaign’s messaging and effectiveness at understanding its customers and what will motivate them to act. The audit results will produce easy to implement recommendations based in science to generate an instant ROI. Tools that capture customer individual preferences in real time so front line sales people know, with scientific precision, what will influence each customer to buy. Call center tool to significantly improve conversions by delivering tailored sales experiences. Contingent upon Marketing Audit - A thorough analysis of web site content with scientific and specific direction on how it can be more impactful. The web site content audit – as an add on to the marketing audit – will provide easy to implement recommendations to make the web site more impactful to your target audience. A comprehensive analysis of a web site to evaluate the strengths and opportunities relative to leading search engines like Google. Short and long term recommendations will be made to improve search engine rankings, increase traffic and site revenues. Detailed technical recommendations to improve your web site rankings, traffic and revenue from organic internet searches. Offer an option where Revolutionary will add a feature of messaging to each lead either for an additional fee or as part of your offering. Use tools in call center to increase conversion. TWYNE platform was architected and developed by a small group of individuals with more than 30 years of lead generation experience in multiple verticals. They have built one of the most comprehensive platforms in the industry while keeping the user interface and functionality extremely simple.Stay tuned for updates on further developments. Rest assured, when you partner with the team at Revolutionary Media, know you are receiving high quality and compliant inquiries. In today's regulatory environment, compliance is paramount and we realize that, and it reflects on the time and resources devoted. "Jornaya is the consumer journey insights platform that provides marketers, data analysts, and compliance professionals with the highest-resolution view of the consumer buying journey. It is the only technology platform that witnesses both first-and third-party consumer interactions in real time and across devices. Meeting consumers at these moments of intent enables businesses to shorten the distance between data, decision, and action. Jornaya seamlessly integrates with any buyer journey decisioning process or toolkit. Revolutionary Media CEO Rob Ricafort was an early adopter of Jornaya and Revolutionary Media leverages Jornaya’s TCPA Guardian product to ensure all leads are TCPA compliant and its Jornaya Intelligence product to ensure its leads are fresh. Implementing Jornaya is a requirement for all affiliates with which Revolutionary Media is partnered to ensure all leads its customers receive are of the best quality." Revolutionary Media is an independent, interactive marketing company focused on providing superior marketing solutions through our comprehensive services and tools. Our mission is dedicated to helping clients achieve their full potential through innovative marketing strategies, which is delivered with unsurpassed client services. We are trailblazers with the expertise and experience needed to achieve success. We are also technology-driven with a long history of getting results and exceeding expectations. We continue to demonstrate the ability to harness the new age of marketing and embrace digital disruption. Our services offered also include providing marketing and management consulting, to help create solutions you can grow with, while fostering innovation. Our Revolutionary team has worked with leading colleges, universities, and interactive marketing firms to help connect and help prospects make informed choices. Revolutionary Media specializes in targeted solutions for various verticals including: education, health and wellness, insurance, home services, and more. 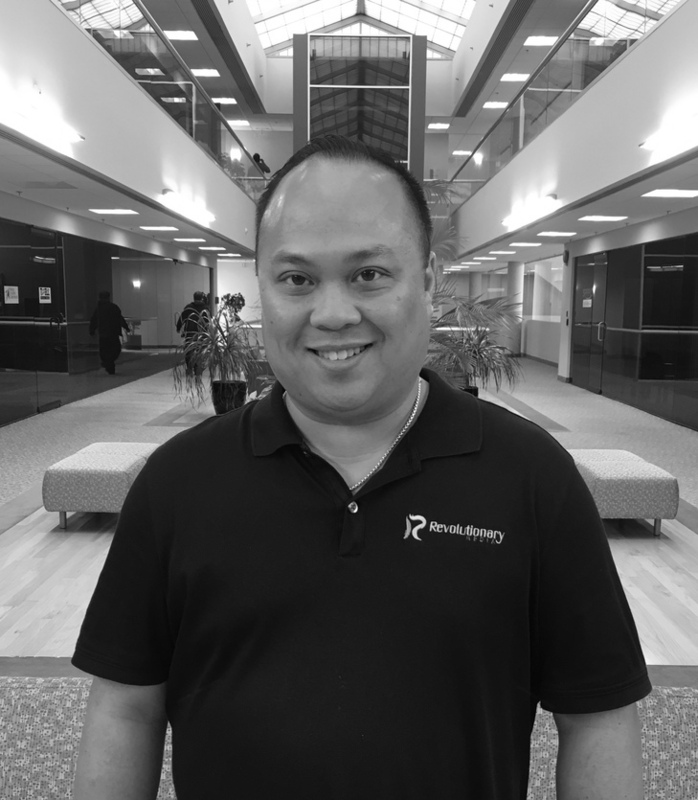 Robert Ricafort has more than 15 years of experience in education, having held positions within the classroom environment as a Business Educator as well as positions in leading marketing firms. Education is his lifelong passion, and it shows when you partner with him. Robert has a widespread professional background which includes experience with such marketing services as: branding and recruiting, inquiry generation, media buying and planning, email marketing, search engine marketing, lead management, and web analytics. Robert has a successful track record of serving diverse clients, while also helping them reinvent their marketing strategies. His achievements are attributed to developing and implementing effective integrated marketing solutions, while developing strategic partnerships built for mutual success. He is committed to helping empower individuals to improve their lives and achieve their life goals. Previously, Robert worked as President of Education and Contact Center of Ifficient, Inc., where he was responsible for the division’s overall operations. Robert acquired the “Education” division from Ifficient, Inc. in April of 2016, and formed the business entity Revolutionary Media. We would love to hear from you! Please fill out the form below to be contacted by one of our Revolutionary Representatives!